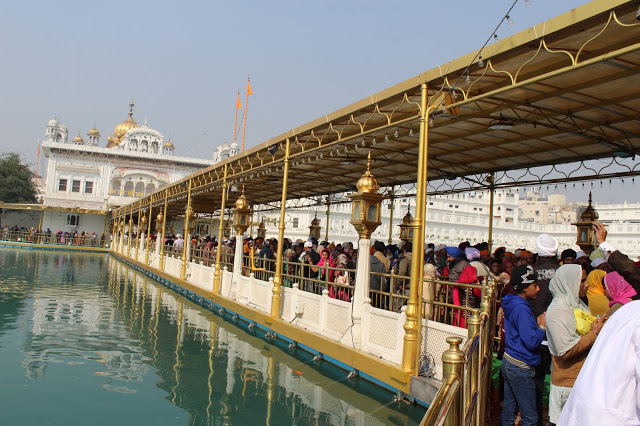 My trip to Amritsar; beyond of Golden Temple. Streets bustle with markets, people jostling for space; the aroma of food is wafting everywhere and man pooling rickshaws block the way…Amritsar is a town that has won the hearts of many. Although it might seem overwhelming at first, few days here and you would again want to come back to this wonderful place. The roads here are not well maintained and most lampposts do not function after dusk. The locals, however, are hopeful that the city is under development and better roads are just around the corner, some of them are even excited at the prospect of Amritsar turning into a “smart city”. To roam the place carry a torch, wear comfortable shoes and wrap your nose with a scarf because the burnt diesel smog will suffocate you. 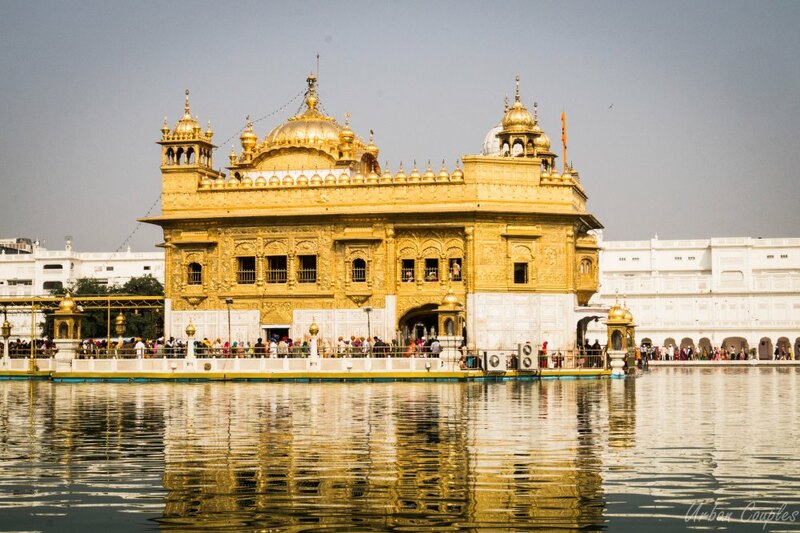 TOP things to do in Amritsar: Here we go! Golden Temple located at Amritsar is the most sacred religious centre for Sikhs. The temple is open to people of all faiths and is also revered Hindus and Muslims. The temple gets the ‘Golden’ in its name from the gold-plated dome, which can be seen from a distance as you approach this iconic building. As against the more popular name ‘Golden temple’, the correct name for the temple is ‘Harmandir Sahib’ or ‘Darbar Sahib’. The formation of the temple, as well as its design, is credited to Guru Arjan Sahib Ji while the foundation of the temple was laid down by a Muslim saint Hazrat Mian Mir Ji of Lahore. 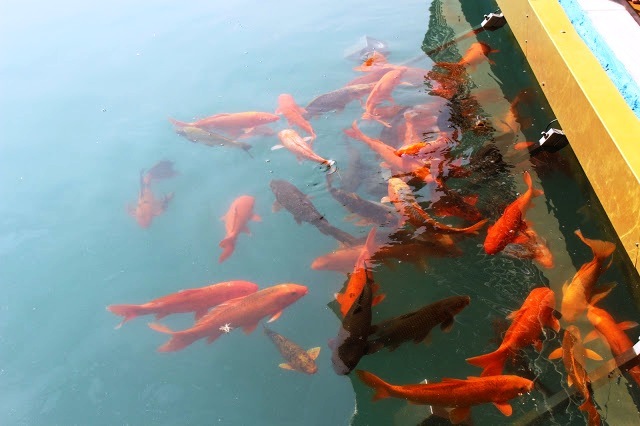 Colorful fishes in the holy water. 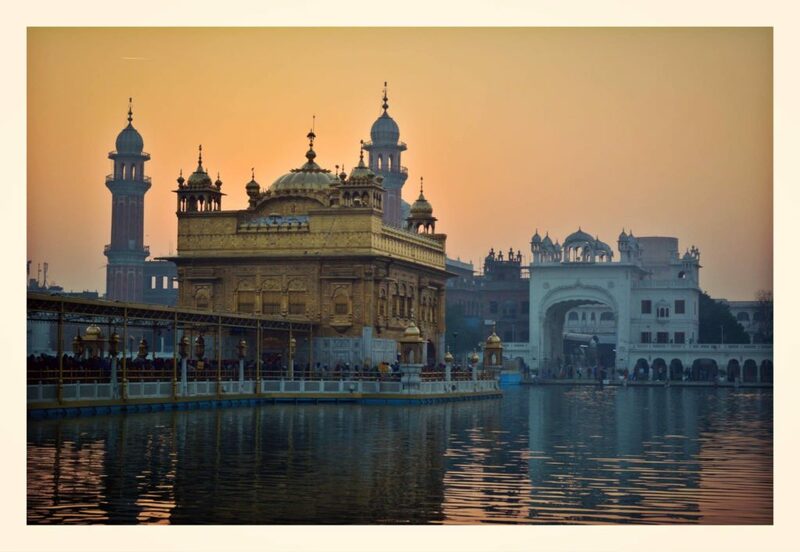 The Golden Temple is a place of immense exquisiteness and magnificent serenity. The architecture of the temple is based on artistic styles of Hindus and Muslims, yet embodying a unique blend of the two. The holy Sikh scripture Adi Grantha lies on the jewel-studded base within the temple Premises. Muffled across the tranquil lake inside the temple, this intriguingly striking music stimulates a transient yet the influential state of trance in the devotees meandering laid-back around the marble courtyard encompassing the temple and the pool. Right through the day and night, devotees plunge them into the lake. It is a symbol of soul cleansing. Adjacent to the temple is the enormous dining halls and dormitories, where every individual, irrespective of gender, religion or race, are fed and lodged for free of cost. The best time to visit Golden Temple is in the morning. You can visit the temple at night also. Always keep your head covered within the complex. You do not need to buy a cover if you come without it, there are lots of head-covers just at the entrance which you can use free of cost. Keep your shoes outside of the temple. These are free of cost. Do not carry backpacks with you, you will be asked to deposit them at the cloakroom. Women can carry handbags though. Cameras are allowed but you are not allowed to take pictures everywhere, especially not inside the Sanctum Sanatorium, unless you have already taken permission. Wash your hands and feet as you enter the temple. At each corner of the complex, water is served by volunteers. The toilets are located in the dharmashala’s right outside the complex. These are all free to use. 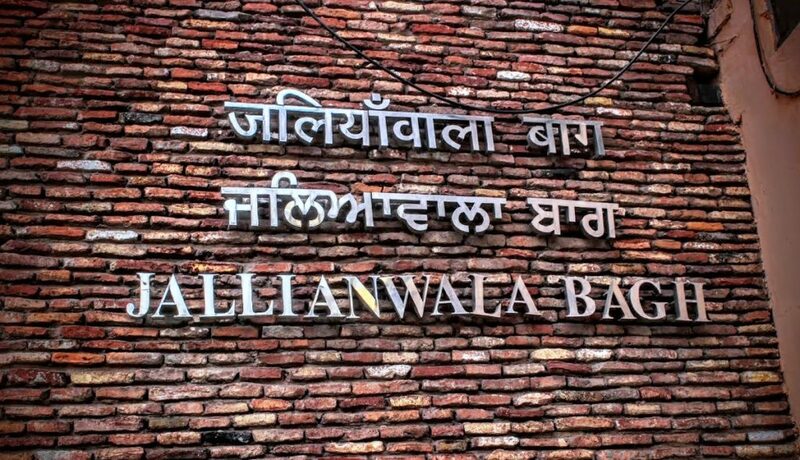 Just a few minutes’ walk from Golden Temple is the great Jallianwala Bagh. A place of state-run importance, the garden is associated with the Indian Freedom Movement. Almost 379 people were dead and 1100 were wounded, as per British Raj sources. With efforts being made to preserve the place for what it was half a century ago, the place is now a full-fledged garden with pathways and has a light and sound show too. 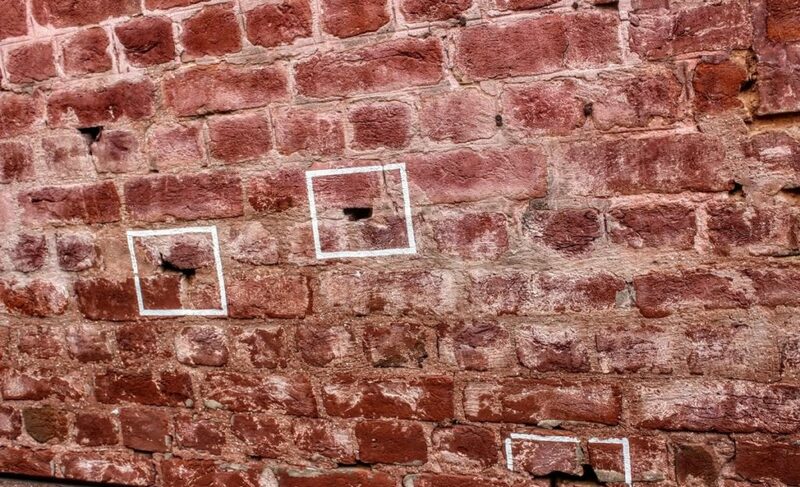 It was great to see that our historical heritage being conserved in a visual manner. When I reached to Jalianwala, I felt goose bumps like witnessing living souls inside the well located on the site. Ah! I later realized that it was the same well where hundreds of martyrs jumped during the famous massacre! The story of this terrible bloodbath is expressed in the Martyr’s Gallery at the place. 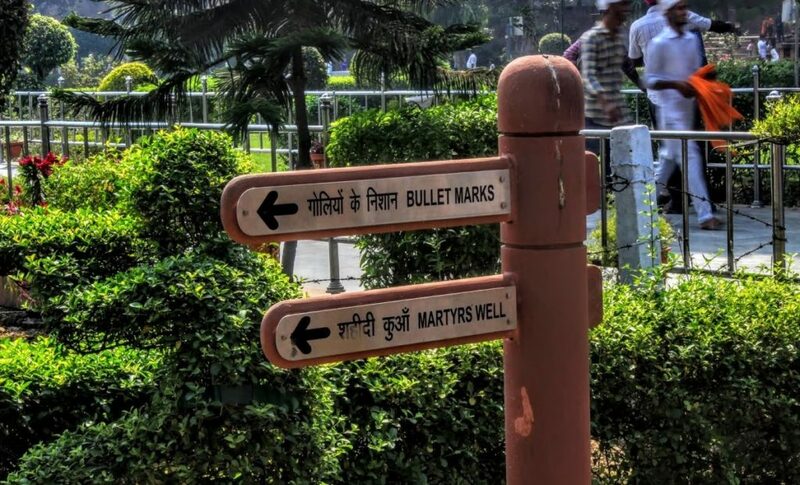 Wagah Border post is located about 29 km from Amritsar. No trip to Amritsar is complete without attending the ‘Lowering of the Flags’ ceremony at the India-Pakistan Attari Border Crossing, popularly known as the Wagah Border. Over 5000 people converge on the Indian side alone to watch the ceremony known as Beating Retreat. If you are in Amritsar & haven’t tried out various famous eating joints; your trip has been wasted. Right from the Golden Temple langar to famous “dhabas” – some more than the century-old; the city has various eating options for veg & nonveg and definitely for sugary lovers! We tried lots of option there some of them are very famous like Puri Launji Thali at Kanha sweets, Amritsari kulcha at Barhwan da Dhaba, having kulfi followed by huge glasses of Ahuja’s lassi!! Stop counting calories and open your mouth for a treat! Kesar da Dhaba is a legendary eat out which opened in 1916 in Lahore and shifted to Amritsar during partition, they prepare and serve food the same way since they opened and it’s a big hit!! You can stay within the Dharamshala’s outside the temple complex, but these are extremely crowded and often you would not find a bed to sleep on. Alternatively, you can also stay within the city. 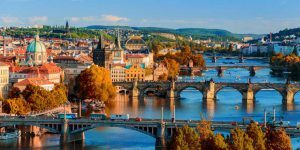 There are many hotels within the budget and pocket-friendly. I stayed at The Holiday Inn which is about 30 minutes from the temple. It’s located in a center of the city and offers all facilities. Traveling to Amritsar is simple just buying a ticket in any of the Shatabdi trains that depart from New Delhi or alternatively book an overnight bus online. Most of these buses depart from the Red Fort/Kashmiri Gate ISBT depot. You could also drive its 6 to7 hours from New Delhi. It is extremely well connected by air also. It’s been long time that I visited Amritsar. 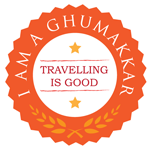 Your post makes me plan a trip to Amritsar ! And guess what? I have still not been to Amritsar 🙁 beautiful post. I need to visit this year for sure! Amritsar is indeed a beautiful place to visit. 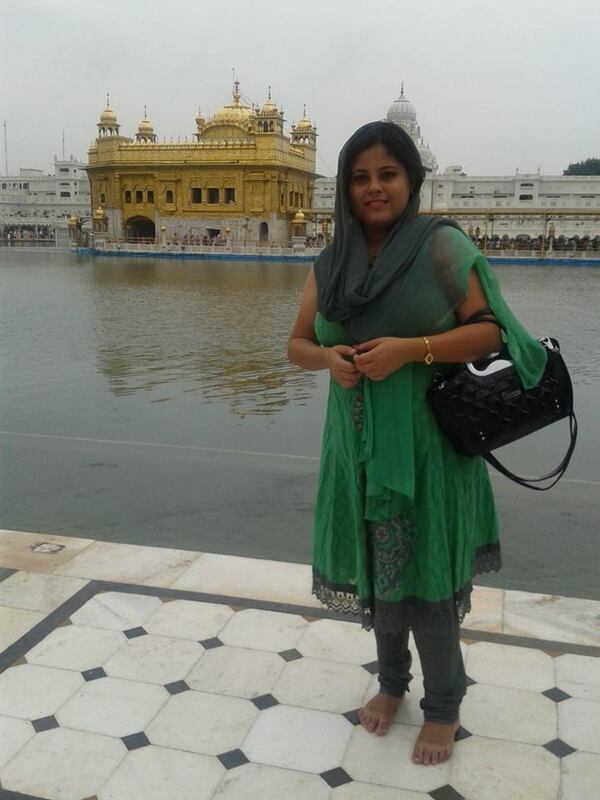 When I had been to Amritsar I went to Golden Temple both in the morning and evening and to be honest I loved it in the evening with all the lights. It had a different charm to it altogether! amazing writing Pam’s keep it up!! 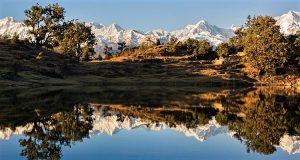 Beautiful pictures & post. Thanks for sharing. Wah! My Amritsar memories were rekindled. Makes me want to dig into my ‘barian’ (sun dried lentil cakes). I have been to Amritsar many times before. But still wants to go there again. 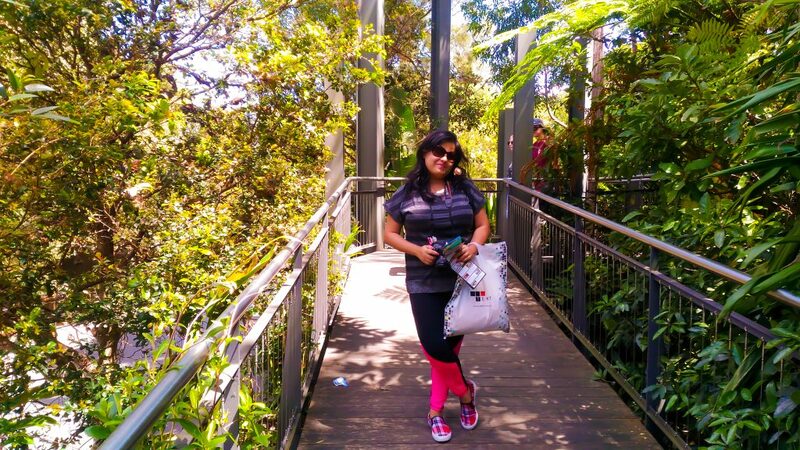 What a beautiful place. Call me wind because I am ableultosy blown away. The Golden Temple seems so picturesque. Great post, Pamela! Just one suggestion….you used JI with mian mir’s name but not used it with guru arjan dev(ji)’ s name….. Very energеtic article, I liked that bit. Will thеｒe Ƅe a pаrt 2?